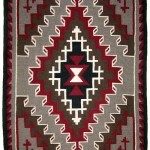 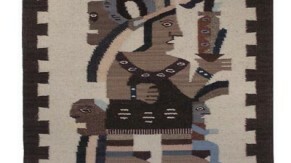 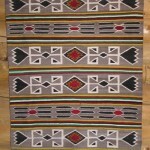 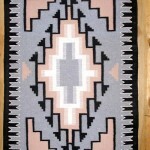 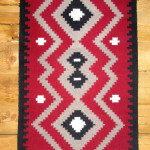 This handwoven Zapotec Mexican rug is 100% wool and a finer Zapotec weave, resembling the classic Pictorial Navajo rug. 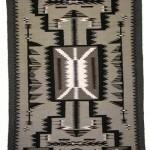 Pictorial Navajo blankets and rugs stem from late nineteenth century attempts by Navajo weavers to record the images they saw in the world around them, and the pictorial weaver often records what she sees. 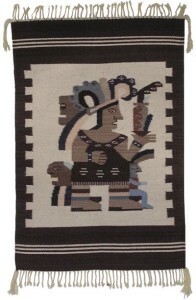 These Zapotec figures appear to be nobility or deity, and bearing ceremonial embellishments.